Blu-ray is no fresh to the modern society which provides crisp image quality are winning huge welcome among all video and movie lovers. You may have a lot of Blu-ray discs as your personal collection, like the Hobbit, Xmen, Spiderman, Divergent, Transcendence, etc. It is such as a waste and pity not to take good advantage of these expensive Blu-ray discs. Isn’t that amazing if we can watch Blu-ray videos on the upcoming Galaxy Note 4 when travelling as you do not always have access to Blu-ray players? Can we play Blu-ray on Galaxy Note 4 directly? The answer is absolutely negative. Because Galaxy Note 4 has no Blu-ray drive, nor player to support Blu-ray video, even so, it doesn’t possess enough room to save huge Blu-ray video size. 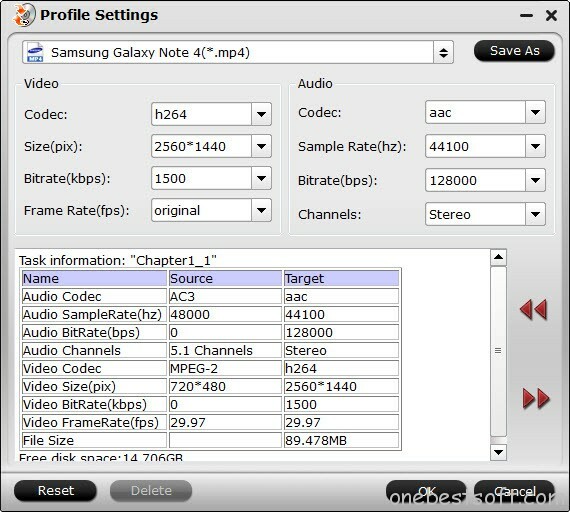 So the conventional way that people could figure out is to rip the Blu-ray movie to a Galaxy Note 4 supported format using third-party Blu-ray movie ripping software and then transfer the movie to Galaxy Note 4. NOTE: you need to get an external Blu-ray drive to make your Windows/Mac recognize Blu-rays. Click the disc and folder icon to import your Blu-ray files. Pavtube BDMagic, as the Blu-ray to Galaxy Note 4 Converter, will detect the real main title and check it by efault.You can select a subtitle language and then check Forced subtitles to output a video with only subtitles in the foreign language part. Click on “Format” to open the profile list, and then choose “Samsung -> Samsung Galaxy Note 4(*.mp4)” as the output format. Tip: You can customize video settings by clicking “Settings” to enter the Profile Settings window, and free choose bitrate, frame rate and sample rate here all at your needs. 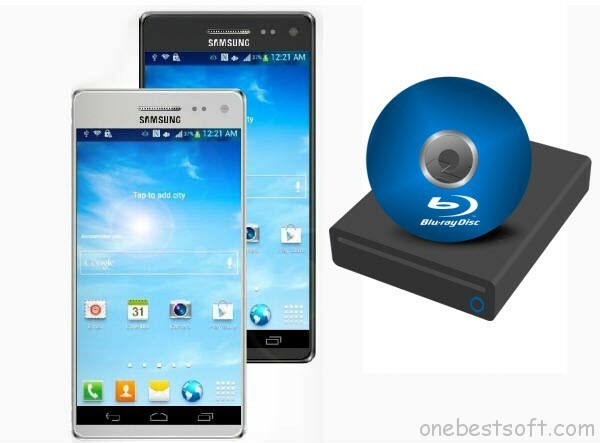 3 -> Start ripping Blu-ray to Galaxy Note 4 MP4. Click the big red “Convert” icon to start converting your Blu-ray to H.264 MP4 for watching on Galaxy Note 4. After the conversion, click “Open output folder” to quick locate the converted videos. How to transfer movie files to Galaxy Note 4? If you have no idea about Galaxy Note 4 file transfer, you can check out the post multiple ways transferring videos to Galaxy Note 4 for reference. In this way, you can enjoy your precious Blu-ray movies on Samsung Galaxy Note 4 when travelling. What’s more, if you have DVD ISO/IFO and DVD movies, you can also get them playable on your Galaxy Note 4. Thanks. Galaxy Note 4 is awesome, now just that much better with Blu-ray integration.